Earning airline, credit card, and hotel points is a lucrative hobby. You don't need to travel at all to rack of 100,000s of points through credit card welcome bonuses. Here's a list (updated monthly) of credit cards with bonuses worth $500+. Over the past 3 years I've racked up over a million points between American Express Membership Rewards, Chase Ultimate Rewards, American Airlines, Starwood Preferred Guest, Marriott, Hilton, and IHG. You can easily do the same. US military members receive many special credit card perks, such as never paying annual fees on AMEX cards. That means you can have a dozen $550/year AMEX Platinum cards and pay nothing in annual fees. You can reap the Platinum benefits of lounge access, $200 in airline fee reimbursement, and $200/year in Uber credits. Plus you can earn 50,000+ in AMEX Membership Rewards bonus points. 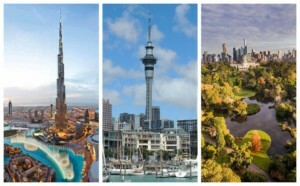 Use these perks and earn free travel and hotel stays. Here's an example of a great redemption I just did with my credit card bonuses. It cost a combination of 312,000 SPG, AMEX, and Chase points and $267 in taxes and fees. I also managed to snag a room for two nights over New Years Eve at the Westin Melbourne for 24,000 SPG points, instead of paying $791 USD. The first step to booking nearly free airfare and free hotel rooms is signing up for credit cards that offer the best bonuses. I've got a list of those here. Usually you want flexible credit card reward points that you can transfer to travel partners, like airlines and hotel loyalty programs. These give you the best bang for your buck. The most flexible, and therefore valuable, points are American Express Membership Rewards (MR) and Chase Ultimate Rewards (UR). Chase UR can be cashed out on some of their cards for 1 points = 1 cent or 100 points = $1. So if you see a welcome bonus worth 50,000 points, you know you can at least get $500 in cash value from that bonus. However, if you transfer the points to a travel partner, like an airline, you can book business and first class seats worth more than 1 point = 1 cent. For instance on my latest booking was 312,000 points for $7686 in airfare, so 1 points = 2.4 cents or 100 points = $2.40. This is pretty good redemption value. For the SPG redemption, a two night stay over New Years Eve in Melbourne, Australia should have cost USD$791. However cashing in 24,000 SPG points meant I received 3.3 cents per point. To me, that's a really good redemption value! Plus, I would never normally spend more than a few hundred dollars on a hotel room on holiday. But, by cashing in points, I get to enjoy a top rated hotel over one of the busiest holidays of the year. The fastest way to earn these points is signing up for credit cards and meeting the minimum spend requirements. I find it easiest to create a spreadsheet to keep track of the cards I apply for. I keep track of when the account was opened, how much the minimum spend is, how long I have to make the spend, the annual fee, and the bonus amounted offered when I opened the account. Make sure you don't overextend yourself with the minimum spend. If your monthly expenditures are $1000, be careful applying for a card that requires $4000 spend in 3 months. But don't be afraid to get creative to meet your minimum spend! Pay bills that don't normally accept credit cards with Plastiq, which sends a check or electronic transfer to your recipient. If you have a car payment, rent, mortgage, or student loan, you can send payments for a 2.5% fee or less. Usually it's best to have a goal and accumulate points for that specific goal. For instance if you want to fly to New Zealand, accumulating United Mileage Plus miles and Chase UR points will give you the easiest redemption on United flights from the US. Figure out what airline you want to fly and build your points treasure chest accordingly. Sign up for all the airlines' frequent flyer programs you think you might fly so you can search award availability on their site or app. 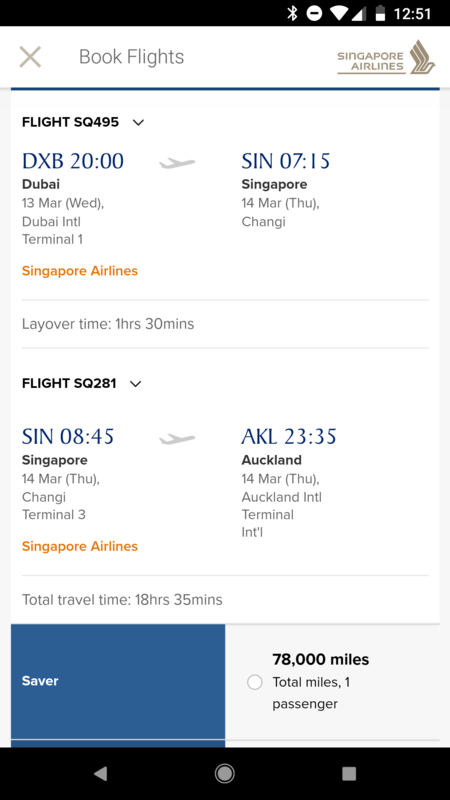 Singapore Airlines has a great app for searching award availability. On United and American it's easier to search on a computer. I always check Award Hacker which searches most of the world's airline rewards charts to find the best redemption rate. The site also shows you which programs you can transfer points from so you can efficiently sign up for the right cards. Once you've accumulated enough points it's time to start spending. If you can't redeem your points for a value of at least 1.5 cents per point, wait! Don't cash in your points for less than they are worth, unless all you want is just more cash in your pocket. With Chase UR you can always cash the points out for 1 cent = 1 point. If you have a Chase Sapphire Reserve you can redeem UR points in their travel portal for a 50% bonus, so 1.5 cents = 1 point. I always try to get at least 2 cents per point and more if I can manage it. Note that you can transfer SPG points to airline partners at a 1:1 ratio with a 5000 point bonus for every 20,000 transferred. Now that SPG is owned by Marriott (Aug 2018), you can transfer 60,000 Marriott/SPG points and get a 15,000 point bonus but the ratio is 3 Marriott points = 1 airline point. So if you transfer 60,000 points and get a 15,000 point bonus, you will only receive 20,000 into your airline miles account plus a 5000 point bonus for 25,000 points total. Another tip for Singapore Air is you can waitlist for as many flights as you want without spending your points. So if you want to fly first class but it's not available to book, waitlist the flight on all the days you could depart. For instance, waitlist flights plus/minus one day from your desired departure day. Then, book with points and confirm a business class seat on your departure day so you know you have a guaranteed seat. 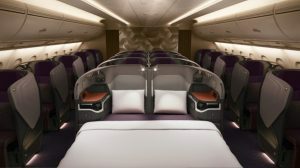 Then if availability in first opens up as you get closer to your departure date, Singapore should contact you to complete the waitlisted first class booking. It's best to book as far in advance as you can. I booked my tickets for the Christmas/New Years time by the end of January. You may get lucky with availability closer, but it's much less hassle and stress to book far in advance. You should also be flexible with your dates, airports, and airlines. If you live near NYC, be sure to search all airports near NYC, including Newark, LaGuardia, and JFK. But also don't forget Philadelphia (PHL), Boston (BOS), or anywhere else within a reasonable driving distance. The reward redemption you book by being flexible may be worth the extra drive or quick flight. AMEX and Chase points are so valuable because they don't tie you down to just one airline. My parents booked 2 business class (J class) round trip tickets to Dubai (DXB) using Chase UR points. Even though they transferred the points to Singapore Airlines (JFK-FRA-DXB) and United (DXB-FRA-JFK), both flights are operated by Lufthansa. That is just a small demonstration of the flexibility you should have when trying to redeem great rewards. I hope this post was valuable to you and opened your eyes a bit to what's possible with credit card sign up bonuses! Other people are much better at playing this game than I am, but I'm still happy with my results so far. If you like my site and want to support me, signing up for credit cards through my links is an easy way to do it. I get a referral bonus and you will get the welcome bonus once you meet the minimum spend. Or, check out Personal Capital for free. I get a referral bonus for that too. Thank you for your support!